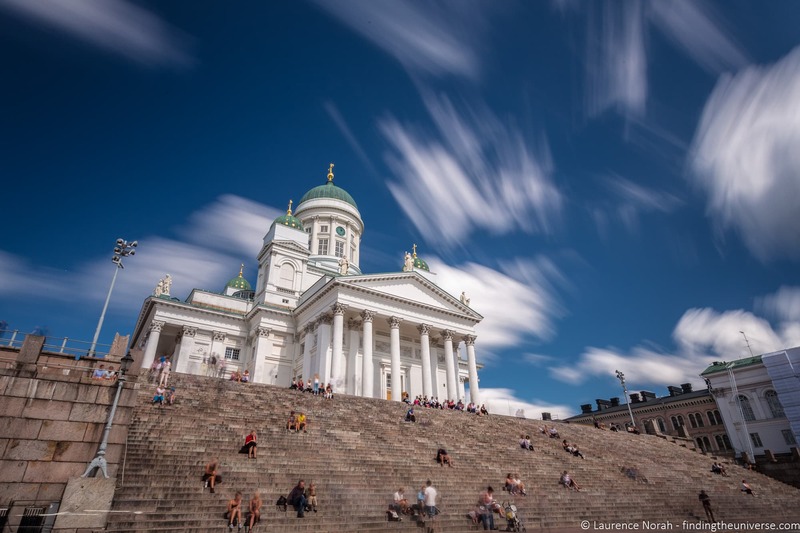 As the capital city of Finland, there are a lot of things to do in Helsinki. This is true at whatever time of year you visit – we’ve visited Helsinki in both summer and winter, and we’ve never run out of things to do. Helsinki is a cultural hub, and in our opinion is the best place in Finland to come for culture, shopping, museums, fine dining etc. 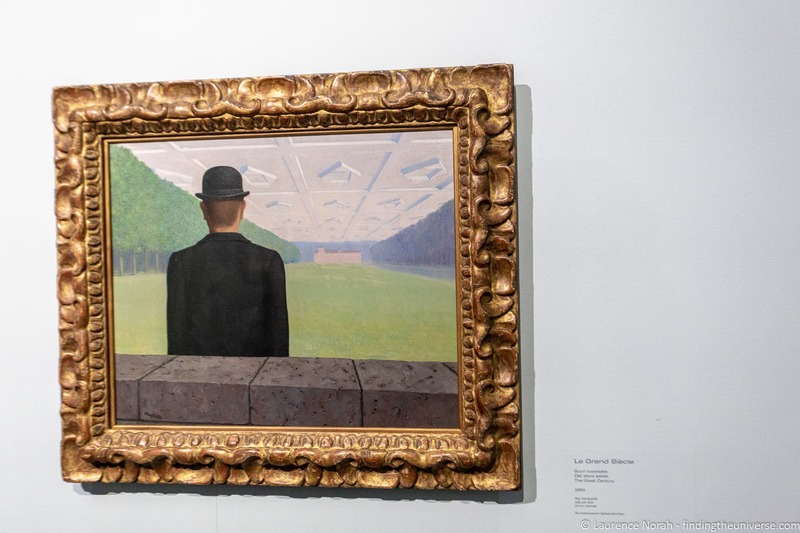 There’s an incredible array of museums to visit, as well as a UNESCO world heritage site, lovely cafes and bars, green spaces, outdoor art installations – and lots more. Today we’re going to share with you a complete list of the best things to do in Helsinki, including many of our personal favourites. This will give you loads of ideas for your visit, whether you are visiting Helsinki in winter or in summer. We’ve provided both free options and paid options to cover a range of budgets. After our guide to things to do, we also share lots of tips for visiting the city, from how to get to around, to where to stay, to how to save money on your Helsinki sightseeing. Let’s get going! This is a fairly comprehensive list of things to do in Helsinki, which will give you more than enough choice to fill multiple days of sight-seeing in the city. Note that there are a few activities and attractions which are seasonal, and we have noted these down. However, there are plenty of things to do in Helsinki in winter to keep you busy for days! Suomenlinna Sea Fortress is one of the most popular attractions in Finland, for both locals and visitors, and it’s also a UNESCO World Heritage Site. Dating from the 18th century, the fortress was built in an effort to guard what was then the Swedish Empire against the threat of Russia. It was also built as a munitions store for the Swedish Army and Swedish Navy. The fortress is a massive affair, spread across six linked islands, with huge walls, gun emplacements, and a large number of buildings. It saw action in 1809, when it fell to the Russians. This marked the end of Finland being a part of Sweden, and the fortress (and Finland) then came under Russian rule. During the Russian period, the fortress was extended and added to. It also saw action again, during the Crimean War, when it was heavily shelled by the English and French fleets. However, despite heavy damage, they were unable to capture it. Finland gained independence in 1917, and the fortress is today largely a tourism attraction. There is still a small military presence on the islands, and areas that are off limits to visitors as a result. These are well sign posted so you can’t miss them. It’s also a residential island, with many residents living here permanently. In terms of what to see in Suomenlinna – there’s a lot! First, you can just explore the islands and various parts of the fortress. You can do this yourself, and it is free to just wander around Suomenlinna Fortress. If you want to learn a bit about what you are seeing, a good option is to take a guided tour with the Ehrensvärd Society. These operate from the Suomenlinna Museum. Tours run daily from June to August, and on weekends at the other times of year. You can see summer times here, and other times here. The Suomenlinna Museum tells the history of the fortress and islands in general, and is where the walking tours depart from. If you only visit one of the museums here, we’d suggest making it this one. Suomenlinna Museum is open year round, you can see opening hours here. There’s a fee for admission. 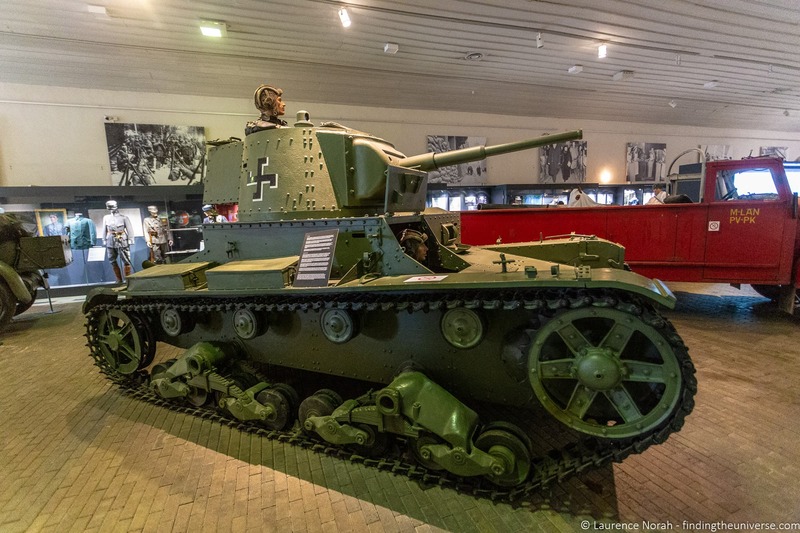 The military museum tells the history of Finland’s various defence forces and their roles in both war and peace time. There’s a wide range of military hardware on display, and lots of display panels guide you through what you are seeing. The military museum is open year round, you can see opening hours here. There’s an entry fee. Tickets also give you access to the Submarine Vesikko, which is a World War 2 submarine that is open for visitors. However, this is only open during the summer months. The Toy Museum is home to a wide number of different types of toys, dating from the early 19th century up to around the 1960s. A variety of toys are on display, including a number of wartime themed toys and games. 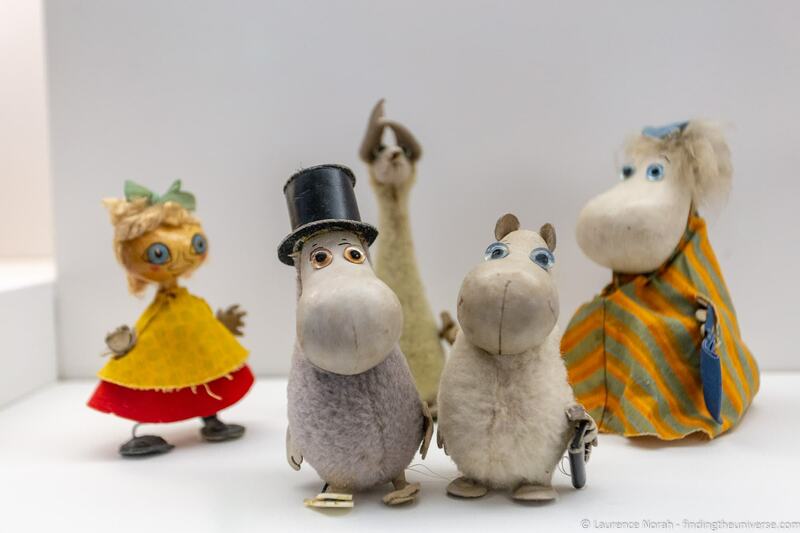 The Toy Museum is open daily in the summer season, as well as for some weekends in the Spring and Autumn. Opening times and ticket prices are available on the website here. The Ehrensvärd Museum focuses on the history of Suomenlinna fortress during the time of the Swedish rule of Finland. It’s found in the original commander’s house, and the collection includes paintings, furniture, weapons, and models of ships. 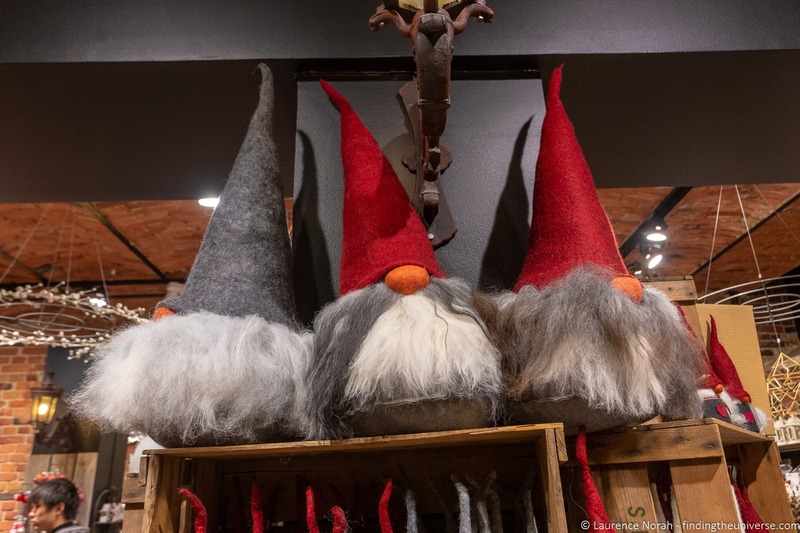 Like the toy museum, the Ehrensvärd Museum is open daily in the summer season, as well as for some weekends in the Spring and Autumn. Opening times and ticket prices are available on the website here. The last museum on Suomenlinna is the customs museum, found on Susisaari island. This museum is all about the history of customs and smuggling in Finland. The Customs Museum is free to visit, but is only open in the summer season. Opening times can be found here. As well as the various museums, there are also a number of cafes, restaurants and shops on the islands. As you can see there’s more than enough to do on Suomenlinna, especially in the summer months, to fill at least half a day of exploration if not more. 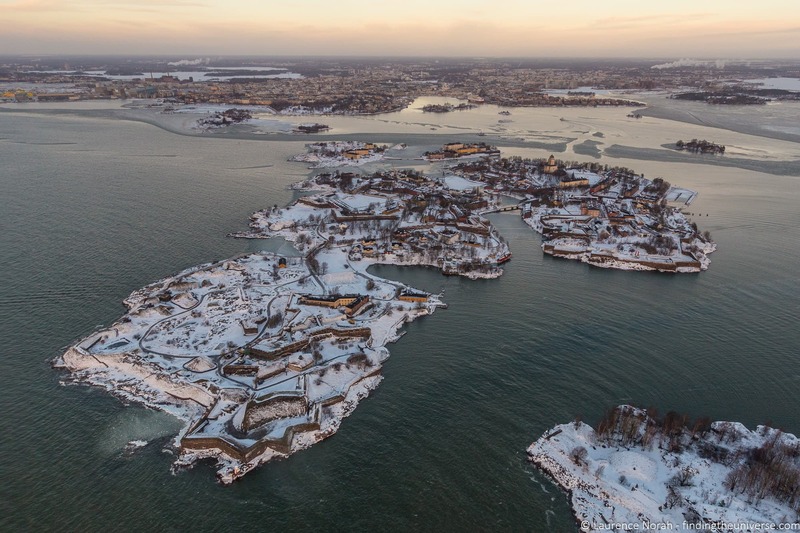 The Fortress can be reached via a short ferry ride from Helsinki. Ferries run daily, year round, and a return ticket is €5, purchasable at the ferry terminal. See ferry times and prices here. Another fun way to see the fortress, and get a handle on its size, is to take a helicopter tour. We did just that with Rotorway Helicopter Services, which gave us a lovely view of the fortress as well as the city itself. 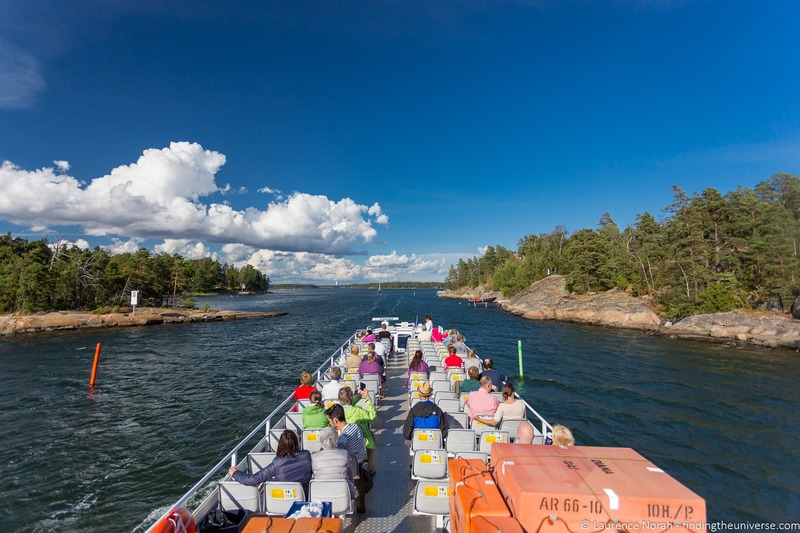 Holders of the Helsinki Card get ferry transport to and Suomenlinna Fortress, access to all the museums on the islands, and the walking tour, included for free with the card. 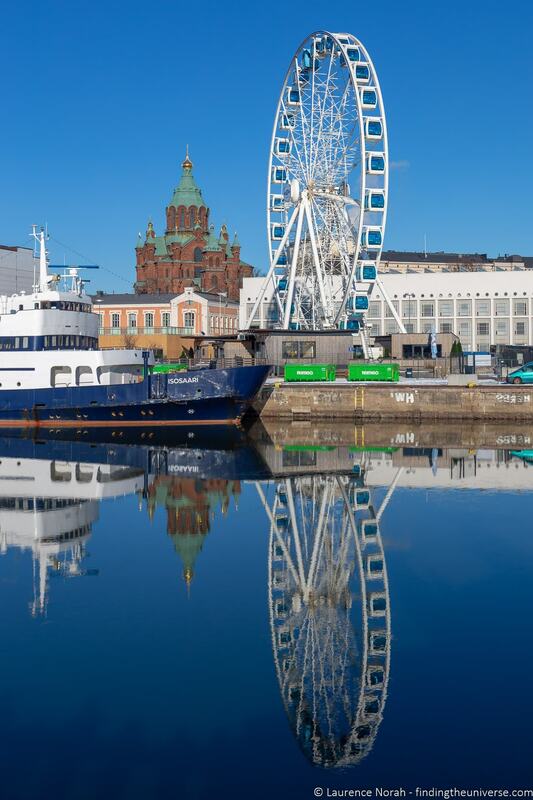 It’s hard to miss the Helsinki Skywheel, a large ferris wheel that sits by the harbour near to both the Uspenski Cathedral and the dock where the Suomenlinna Fortress ferry departs and arrives from. If you want to get a nice view across the city, this is definitely one of the better ways to do that. Helsinki does not have very many high points, which means that the 40 metre high wheel offers lovely views across the city. It’s even heated, meaning you can ride it year round in comfort. The Skywheel operates every day all year round, and is open between 11am and 5pm or 11am and 6pm, depending on the day of the week. 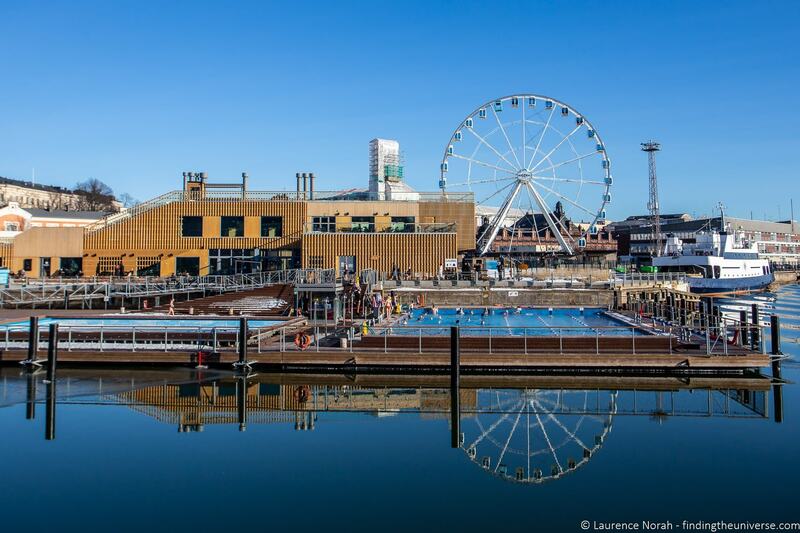 There’s a fee to ride the wheel, with discounts available for Helsinki Card holders. You can see full pricing information and opening times on their official website here. 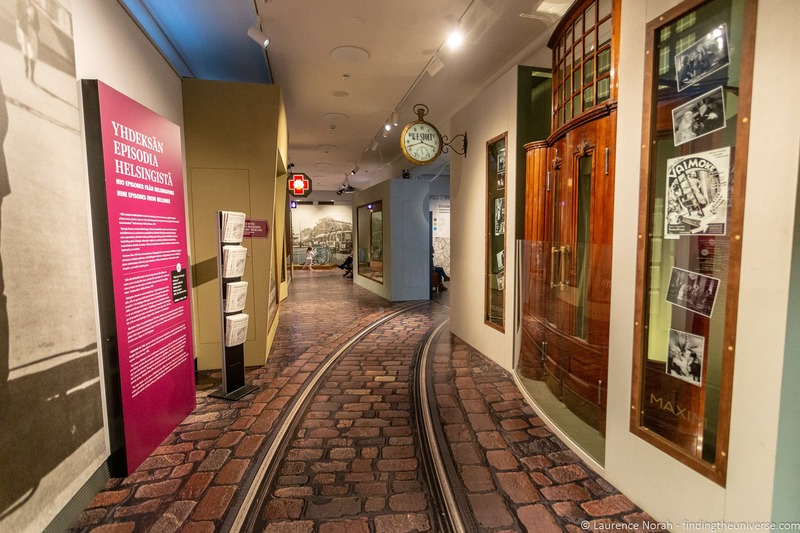 If you want to learn about the history of the city of Helsinki and its people, then you need to visit the Helsinki City Museum. This free museum, a short walk from the Cathedral, is spread across five buildings – each from different eras in Helsinki’s development. It has permanent exhibitions covering the history and development of the city, ranging from the evolution of the architecture, to the lives of the people in the city. The museum is free, and open daily from 11am – 7pm in the week, and 5pm on weekends. See opening hours and more information for you visit here. 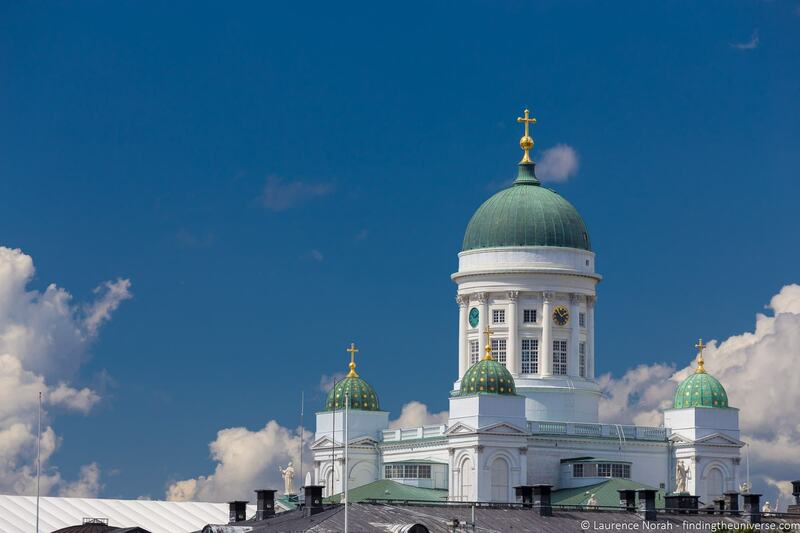 One of Helsinki’s most recognisable landmarks is Helsinki Cathedral, which is a cathedral of the Evangelical Lutheran Church. The Evangelical Lutheran Church is the largest religious body by membership in Finland, with around 70% of Finns as members. 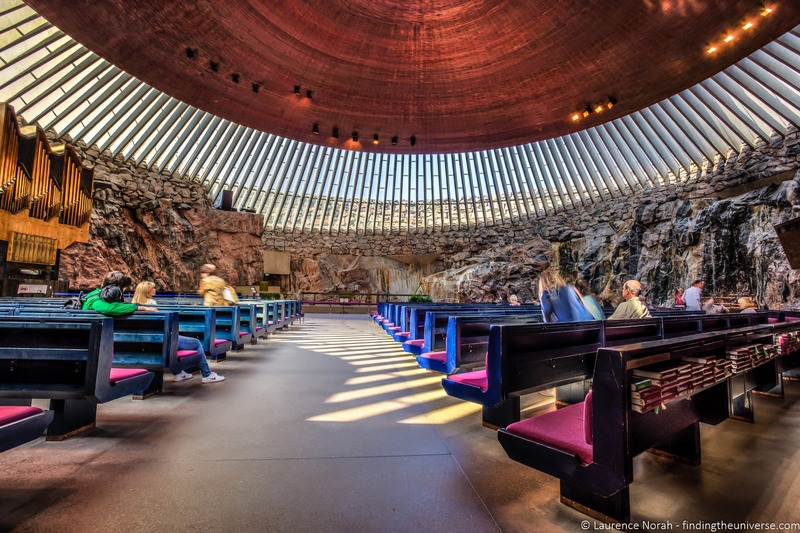 Whilst this isn’t the mother church of the religion (that is Turku Cathedral in Turku), it is nonetheless an important place of worship. With its elevated position above Senate Square it is a well known part of the Helsinki skyline. The cathedral dates from 1852 and holds regular services of worship. It is also open to visitors, and it is free to visit. It is open daily from 9am – 6pm throughout the year, with extended opening hours until midnight from June to August. 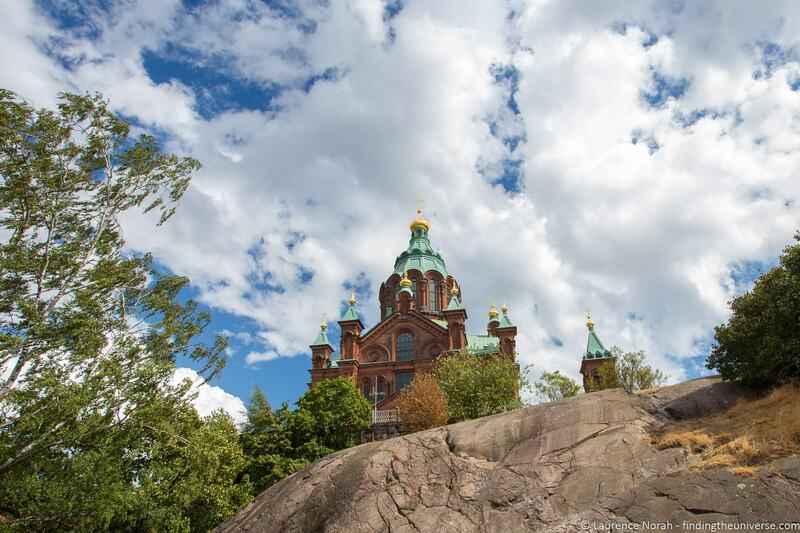 Right next to the Skywheel and a short walk from Helsinki Cathedral, you will find Uspenski Cathedral. 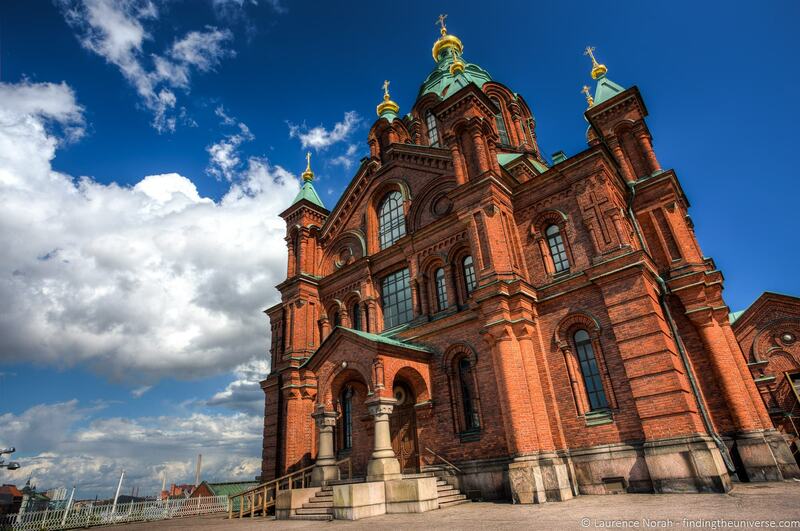 Built in 1868 during the time of the Russian Empire in Finland, this red brick church with golden cupolas is certainly reminiscent of many of the churches you will find in Russia. Uspenski Cathedral is the main cathedral of the Orthodox Church of Finland and the largest orthodox church in Western Europe. It is a striking building built upon a hillside looking over the city and harbour area. The Cathedral is open every day in the summer (June – August) but is closed on Mondays outside of this time. It is free to visit. 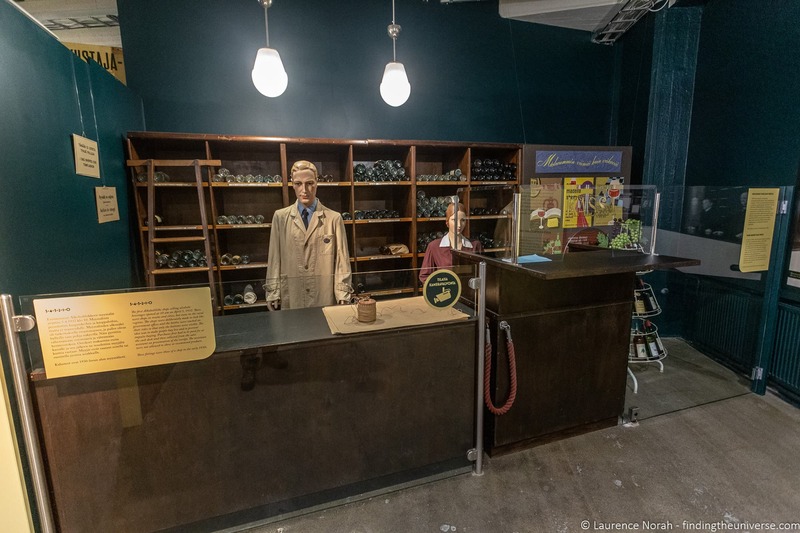 You can see more opening hours and more information on the official website, but note that at time of writing this is only in Finnish or Russian, so you will need to use translation if you don’t speak those languages. If you visit Helsinki in the warmer months, generally from May – September, then we can highly recommend taking a canal cruise. Departing from the Market Square, these boat cruises generally last around 90 minutes, and take you on a tour of some of the peaceful canals that run through the city. Most tours also pass by highlights of the city like Suomenlinna Fortress. We took one of these tours on a warm summer day and had a lovely time. We particularly enjoyed the fact that the boat had a bar on board so we could enjoy a drink as we saw the sights! If you have a Helsinki Card, this comes with a canal cruise. Alternatively, you can book a canal cruise here. 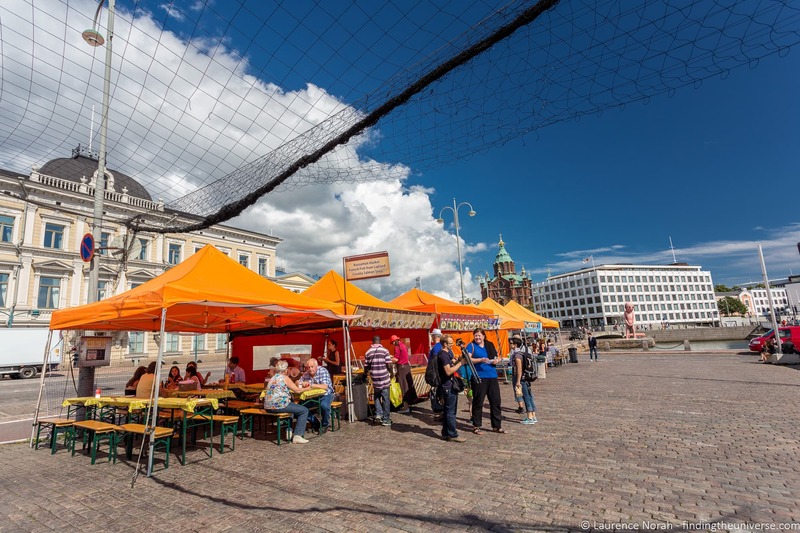 The area of Helsinki by the water where the sightseeing boats and the Suomenlinna ferry departs from is known as Market Square. 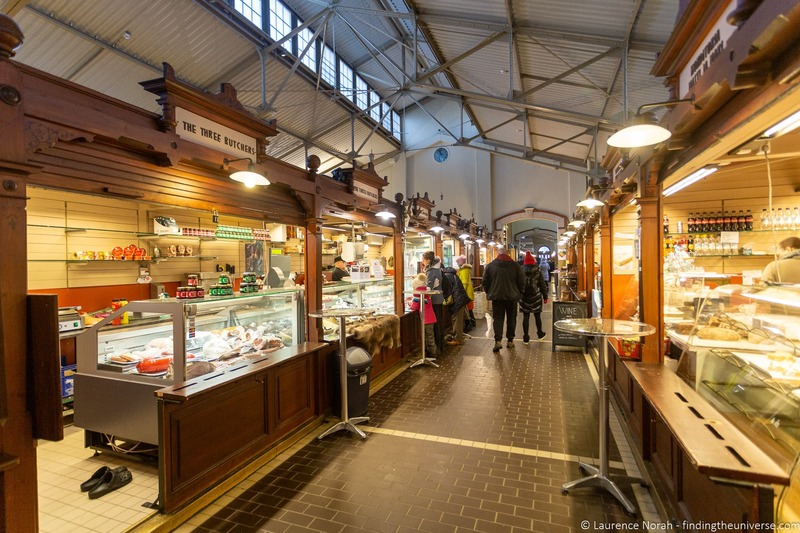 This is home to one of the most famous and well known markets in the city, with vendors selling all sorts of crafts, souvenirs, and traditional Finnish food. This is a good place to get a well priced snack or meal. Sometimes there are also performers here playing songs on traditional instruments. The market is usually open every day, although vendors may change from day to day. Opening hours are usually 8am – 4pm Mon – Say, and 10am – 5pm on Sundays. Right next to Market Square is the Old Market Hall. This purpose built building was opened in 1889, as a covered market alternative to the traditional outdoor marketplaces. Over a hundred years later, and the format hasn’t changed a great deal. There are still multiple food vendors selling all sorts of food items, from cheese to meats and local specialties. There are also cafes serving hot and cold food that you can eat on site. The Old Market Hall is open all year from Monday – Saturday, from 8am to 6pm. 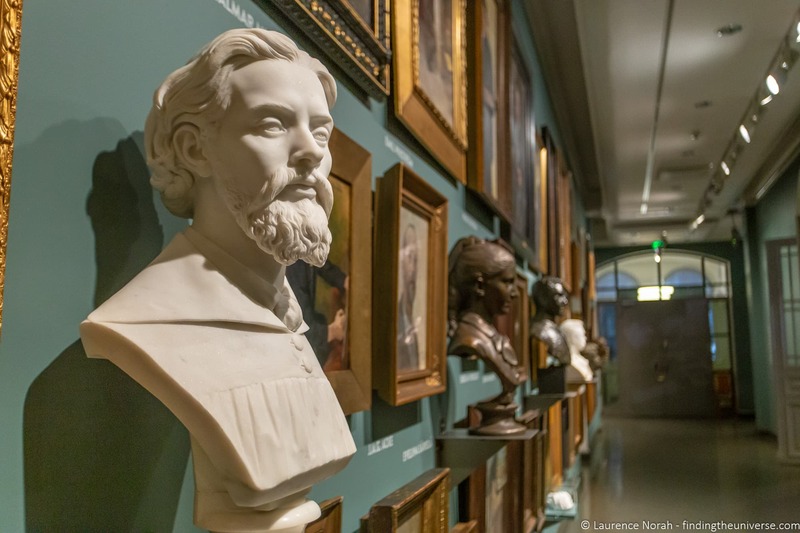 If you are a museum lover, you are definitely in for a treat in Helsinki, as the city has an incredible array of museums to choose from covering seemingly every interest. In winter, this is especially good as many of the outdoor attractions are closed, plus it can be quite cold! So having warm museums to explore will stop you from getting cold, and give you plenty of things to do. The National Museum of Finland is, as the name suggests, a museum dedicated to all things Finnish. If you were to only visit one museum in Helsinki, this would likely be a good candidate. It covers everything from the history of Finland through to the culture, people, art, and goes from the Stone Age to the present day. There’s also an on-site cafeteria for coffee and snacks. The museum is open through the winter from Tue – Sun, 11am – 6pm (11am – 8pm on Wednesdays). From May to Aug, it is also open on Mondays. There’s an entry fee to visit, although it is currently free to visit on Fridays from 4pm – 6pm. It’s free for holders of the Helsinki Card and the Museum Card, and for those under 18. You can see full details of pricing and discounts, as well as detailed opening hours and closure dates on the official website here. 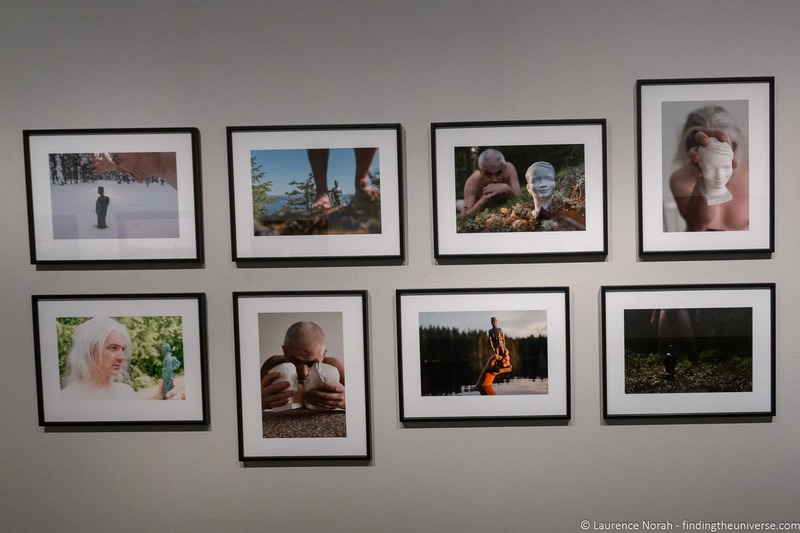 One of the newest museums in Helsinki is Amos Rex, which opened in 2018. It’s found underneath the Helsinki Plaza, with bubble like protrusions from the gallery emerging into the plaza space. The museum primarily has temporary exhibits, meaning that when you visit there is always likely to be something new on. 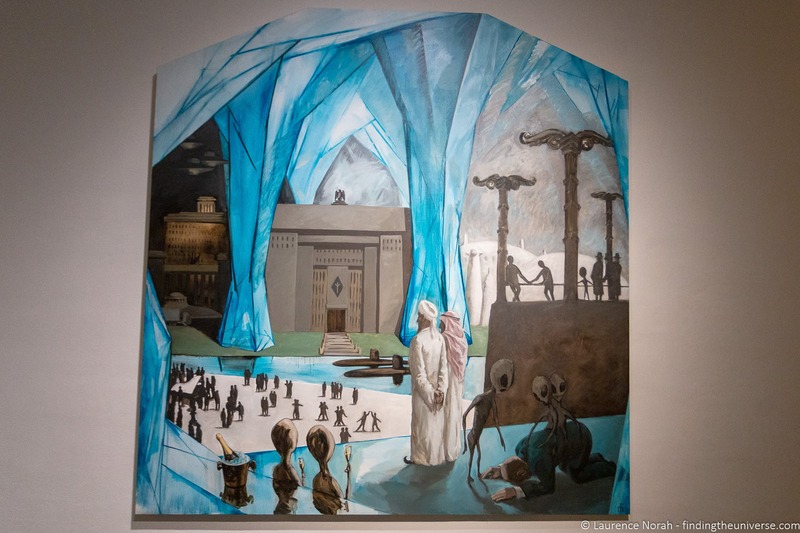 These exhibits are from both local and international artists. In our experience visiting, Amos Rex is certainly one of the most popular museums in the city – it was the only art museum where we had to queue for over 20 minutes to get in! There’s a fee to visit, and it’s included on both the Helsinki Card and the Museum Card. It is open every day except Tuesdays, from 11am until 5pm, 6pm or 8pm depending on the day of the week. See full opening times and prices here. 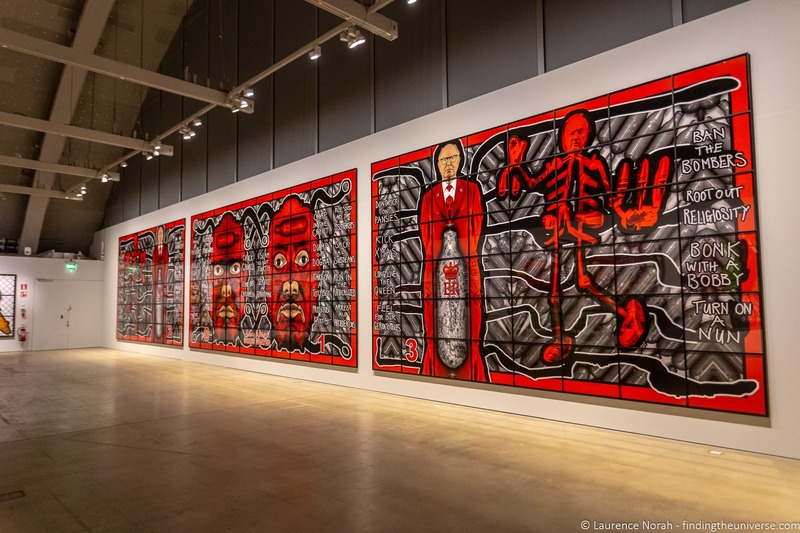 If you are interested in contemporary art, then you will want to head to Kiasma, which is the contemporary art branch of the Finnish National Gallery. 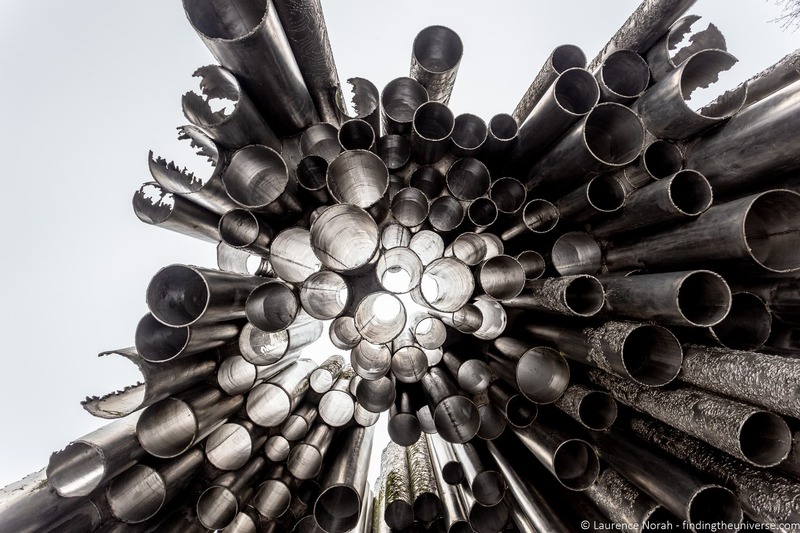 This is home to the largest collection of contemporary art in Finland, with over 8,000 works in the collection, and around 100 new works added each year. 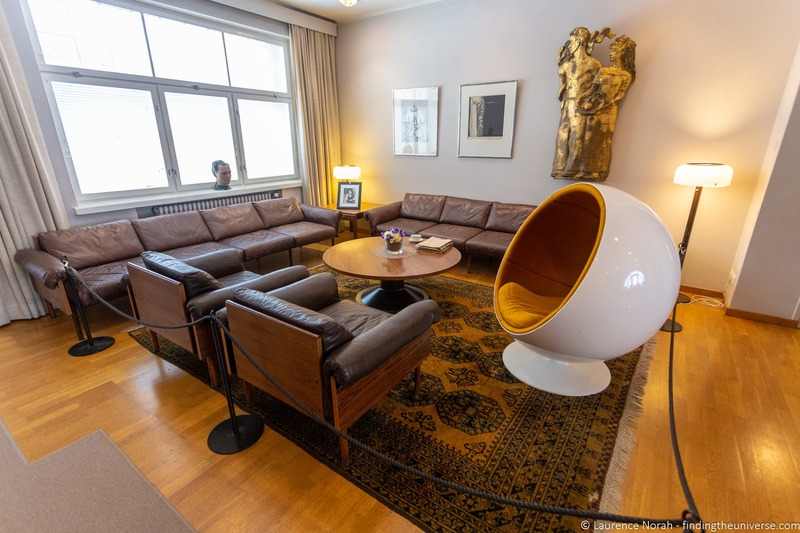 The art in the collection is primarily from Finnish artists and those from nearby countries, and primarily dates from the 1970s. Kiasma also adds to its collection by commissioning work. Kiasma is spread across five floors, and as you would imagine for such a sizeable art collection there is plenty to see here. There’s also a theatre on site, as well as workshops. You can see the calendar of events and workshops here. There’s a fee to visit, although it’s free if you are under 18. Holders of the Museum Card and Helsinki Card have free access. Free admission on the first Friday of every month. Combination tickets are also available which include Ateneum and the Sinebrychoff Art Museum. Kiasma is open every day except Monday from 10am. Closing times vary between 5pm and 8.30pm depending on the day of the week. You can see all the pricing and timing hours here. The second of the three art museums of the Finnish National Gallery is Ateneum, which focuses on classical art. This covers both Finnish classical art and contemporary art, including pieces by artists such as Cézanne and Van Gogh. In fact, the Ateneum was the first art museum in the world to own a Van Gogh, which it acquired in 1903. The building itself is also notable, dating from 1887 and purpose built as an art gallery. The collection is the largest classical art collection in Finland, with over 4,000 paintings and 750 sculptures. Like Kiasma, Ateneum is open every day except Monday, from 10am. Closing times vary between 5pm and 8pm depending on the day of the week. There’s a fee for entry, and it’s also free for those under 18, and holders of the Helsinki Card or Museum Card. See the official website here for pricing and more information on opening hours. The third museum of the Finnish National Gallery, Sinebrychoff Art Museum, is a little bit different to the other two. It’s found in the former property of a Russian businessmen, Nikolai Sinebryukhov, who started the Sinebrychoff Brewery in 1819. He constructed this house in 1842, and it was used as both a family home and brewery office. Nikolai himself never actually lived here though. Instead, his brother’s family did. It was his brother Paul and Paul’s wife Fanny who started the art collection, which in 1921 was donated to the Finnish government. At the same time the home was turned into a house museum. To this day, this is still the largest art donation ever made in Finland, with over 900 items in the collection, including 100 Old Masters. Today, the home is open as both an art museum and a house museum. It contains the collection donated by Paul and Fanny, as well as a number of other old European artworks which were originally in the Ateneum Art Museum. The house museum part is laid out as it would have been in the early 20th century, when it was Paul and Fanny’s home. It was fully restored in the early 21st century to be as accurate as possible to the time. The Sinebrychoff Art Museum is open every day except Monday year round. On weekends it’s open from 10am – 5pm, from Tuesday – Friday it is open from 11am – 6pm. Wednesday it opens until 8pm. There’s a fee for entry, and it’s also free for those under 18, and holders of the Helsinki Card or Museum Card. Admissions is also free on the first Wednesday of each month between 5pm and 8pm. You can see full pricing information and opening hours on the official website here. Villa Hakasalmi is one of the last remaining country houses in Helsinki. It’s found near the centre of the city, opposite the National Museum of Finland. The house dates from 1843, and was built as the summer residence for the Finnish governor of the time. In the early 20th century is served as the home of the National Museum of Finland, before becoming apart of the Helsinki City Museum. Today, the museum is home to a number of rotating exhibitions, so there is always something different to see. There’s also a cafeteria on the courtyard here, which is a nice place to get food or a drink. 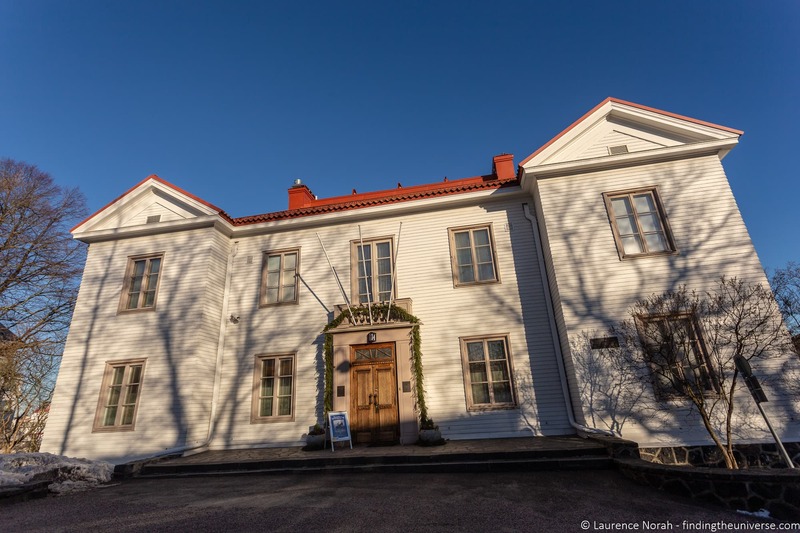 As Hakasalmi Villa is operated by the Helsinki City Museum, it’s free to visit. It’s open every day except Monday from 11am – 5pm, and 7pm on Tuesday. 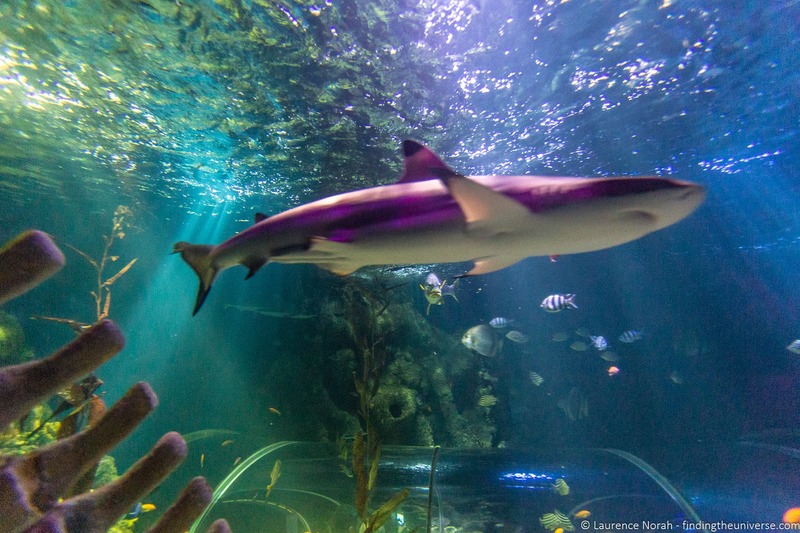 If you’re travelling with children, or just love aquariums, you’ll definitely want to visit Sea Life Helsinki. This is home to over 3,000 individual marine animals, including a variety of fish, seahorses and jellyfish, spread between over 50 tanks. This is a bit outside the immediate city centre so you’ll want to take public transport to get here. There are a number of bus and tram routes that pass nearby. Sea Life Helsinki is open every day of the week year round, and hours vary depending on the day you visit. There’s a fee to enter, and it’s included on the Helsinki Card. You can see full pricing and opening hours on the official website here. Taking a Sauna (pronounced Sow-nuh in Finland) is one of the most typically Finnish things you can do when in Helsinki. People in this part of the world have been spending time in sauna style environments as far back as 7000BC, with the sauna involved in many aspects of Finnish life, from birth to death. Today, most Finns will have easy access to their sauna, with many apartment buildings and homes having their own sauna. On a recent trip to Helsinki we stayed in a small studio apartment in Helsinki, and even that had its own small sauna built into the bathroom. Suffice to say, you should not find it hard to have a sauna experience when visiting the city. If your accommodation doesn’t have its own sauna, or you want to have a more public sauna experience, there are a number of public sauna options in the city. Next to the Skywheel for instance, you’ll find the Allas Sea pool. This is open year round, and offers an outdoor heated pool, a sea water pool, and a variety of saunas. Another option if you are looking for a traditional sauna experience is to take this tour, which includes time in a lakeside sauna and roundtrip transport. One of Finland’s most well-known military leaders and politicians was Baron Carl Mannerheim, also known as Field Marshal Mannerheim. In Finland, Field Marshal is an honorary rank that is only bestowed on particularly distinguished individuals, and Carl Mannerheim is the only person to date who has held this rank. Mannerheim, who lived from 1867 to 1946, held a wide variety of roles in his life. He started his career in the Imperial Russian Army, during which time he undertook a variety of espionage missions which required him to travel extensively across Asia. After Finland’s declaration of independence from Russia in 1917, Mannerheim was in charge of Finland’s armed forces. He led the White Army in the civil war that ensued, and following its victory, he was given the title of Regent of Finland. Finland then held presidential elections, and Mannerheim was replaced by an elected president in 1918. After a long period outside of public office, in which time he headed the Finnish Red Cross, when the WW2 commenced, Mannerheim was appointed Commander in Chief of the Finnish armed forces, with the rank of Field Marshal. He became President of Finland in 1944, although resigned due to age related health issues in 1946. He died in 1951. As you might imagine, such a long and distinguished life has resulted in Mannerheim being regarded as Finland’s greatest statesman. There is a statue of him riding a horse in Mannerheim Square in the centre of the city, and you can also visit the Mannerheim Museum, which was where he lived from 1924 until 1951. Here you can learn all about his life and see how he lived. 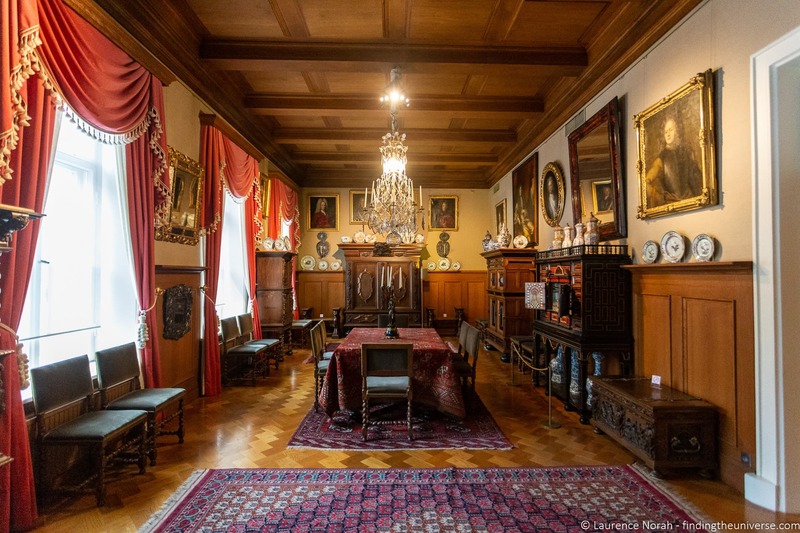 The home has been a museum since his death, and has been well preserved in the state Mannerheim left it in. The home can be toured by guided tour only, with tours given in six languages, including English. We really enjoyed the guided tour and learning all about this important piece of Finnish history. 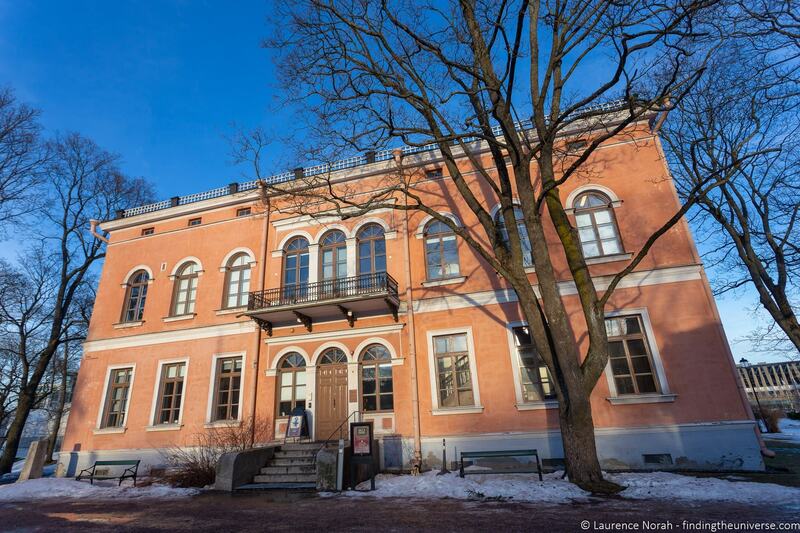 The Mannerheim museum is open from 11am – 4pm from Friday – Sunday, but you should check what time tours are given in the language you are interested in. Tours last around 45 minutes. There’s an entry fee, and it’s also included on the Helsinki Card and Museum Pass. Note that photography is not permitted in the house. See more information on opening times and fees on the official website here. The next two related museums are conveniently located just around the corner from each other in central Helsinki. The first of these is the Museum of Finnish Architecture. This museum, which opened in 1956, is the second oldest museum in the world dedicated to architecture. 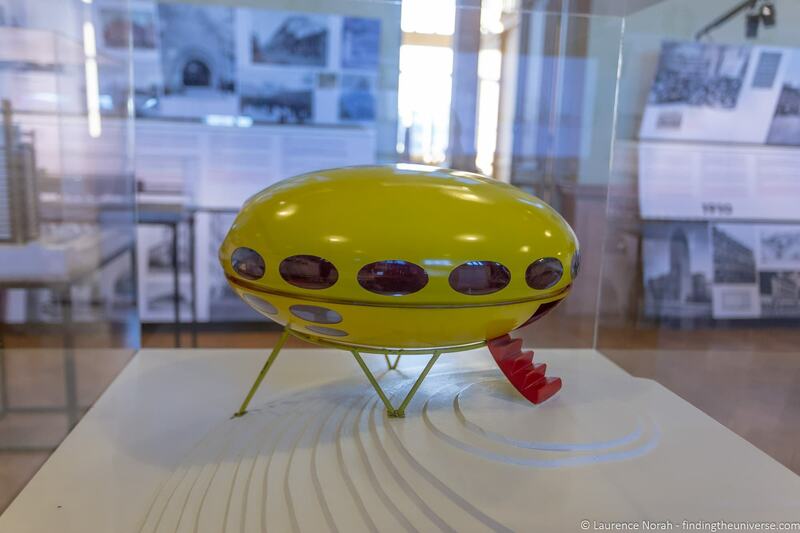 It tells the story of architecture through drawings, photographs, and models, and there are also changing exhibitions relating to architecture, both in Finland and around the world. I will admit to not knowing a great deal about architecture, but I found this museum very interesting as obviously architecture has a hand in pretty much all the man made constructions around us. The architecture museum is open Tuesday – Sunday from 11am – 6pm, and until 8pm on Wednesdays. There’s a fee to visit, and it’s also included on the Helsinki Card and Museum Pass. It is also free if you’re under 18 and on the first Friday of every month. You can buy a combination ticket for this museum and the design museum, which will save you money. See more on opening times and prices here. Just around the corner from the Finnish Architecture museum is the Design Museum. 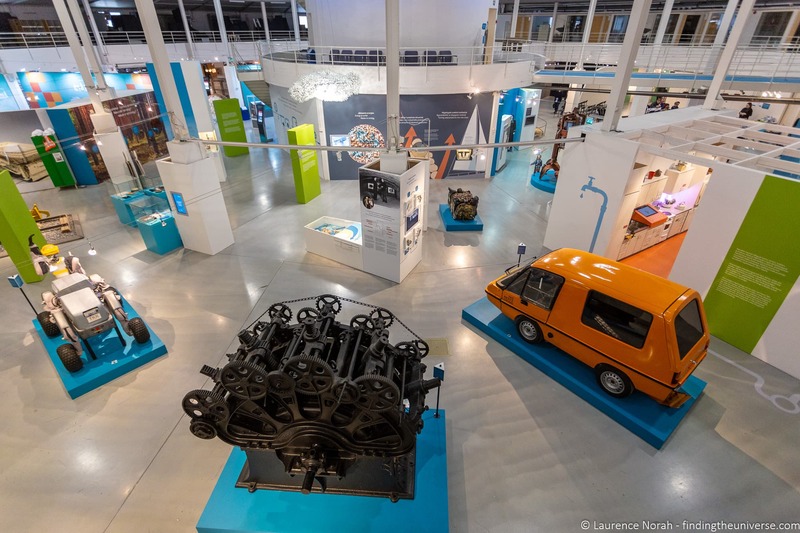 This is a really fascinating museum that takes you through the history of design, as told through the huge collection of objects that the museum holds – over 75,000! 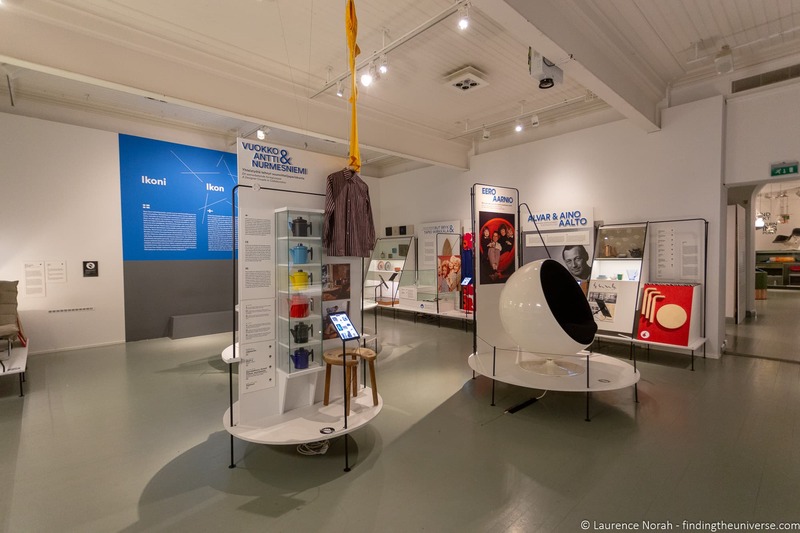 The museum covers both Finnish design and international design, and at 140 years old, is one of the oldest of its kind in the world. It includes industrial design, fashion, and graphic design – when we visited, there was everything from iconic chairs to electronics to Angry Birds characters on display. Like the architecture museum, this wasn’t a museum I was expecting to get a lot out of, but I really enjoyed my visit to this museum, and it was one of my favourite in the city. In winter the design museum is open from Tuesday – Sunday 11am – 6pm, and until 8pm on Wednesdays. In summer (June – August), it’s open 11am – 6pm every day. There’s a fee to visit, and it’s also included on the Helsinki Card and Museum Pass. It is also free if you’re under 18 and on the last Tuesday of every month from 5pm – 8pm. See more on opening times and prices here. All this talk of museums and not a word about cake. It’s time to rectify that by mentioning Finland’s oldest and one of its most well known cafes – Ekberg 1852. As the name suggests, this has been a staple patisserie and bakery in Helsinki since 1852. They create a wide range of baked goods, including the Napoleon (their most popular item since 1865!) and the Alexander (a tradition of Helsinki baking since 1819). It’s not just baked good though. Ekberg 1852 has a sit down restaurant where you can try traditional Finnish dishes like salmon soup and smoked reindeer. 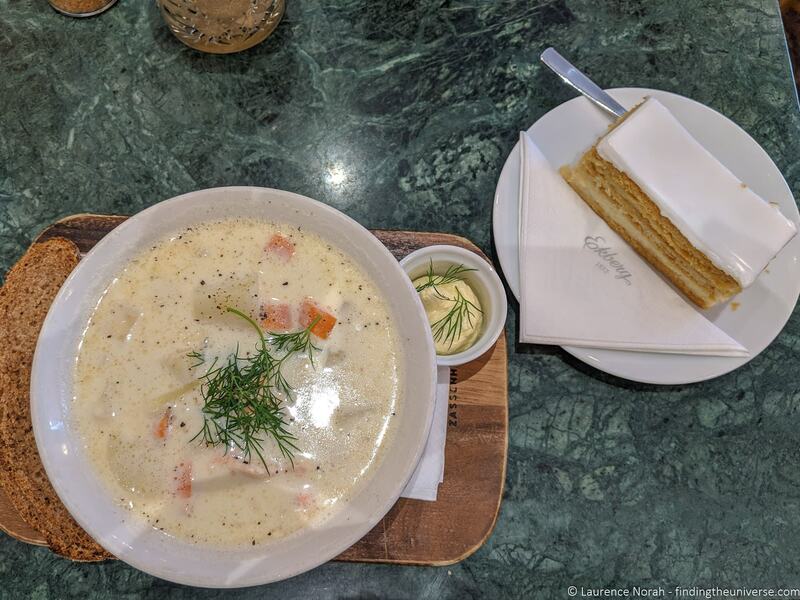 We had a lovely salmon soup here with an Alexander pastry. Note that this is a popular spot, especially for the lunchtime weekend brunch option. You can book a table in advance to be guaranteed a spot and not have to wait. The Helsinki Art Museum is owned by the city of Helsinki, and is where the art collection owned by the city itself resides. Whilst at least half of this collection is on public display around the city (see a map of the sculptures here), to see the rest of the collection you will have to visit HAM. Porvoo. A beautiful old wooden town which you can reach by bus in around an hour from Helsinki. A discounted day trip to Porvoo is available for Helsinki Card holders, or you can book a guided day trip to Porvoo directly here. See our guide to Porvoo for more on what to do here. We have visited Helsinki a number of times and have stayed in a variety of accommodation options, from apartments through to hotels. Here are some options to consider for your trip. 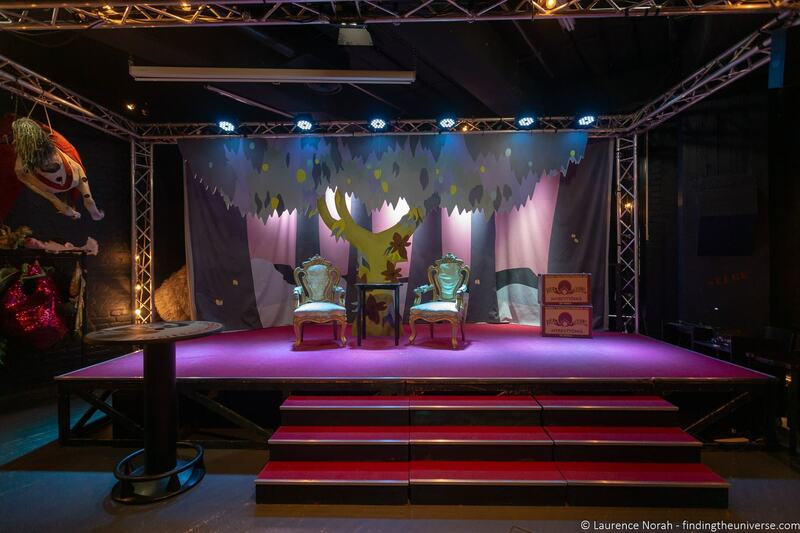 Hostel Diana Park – just a ten minute walk from the train station, this is a well reviewed hostel offering good value accommodation for those on a budget. 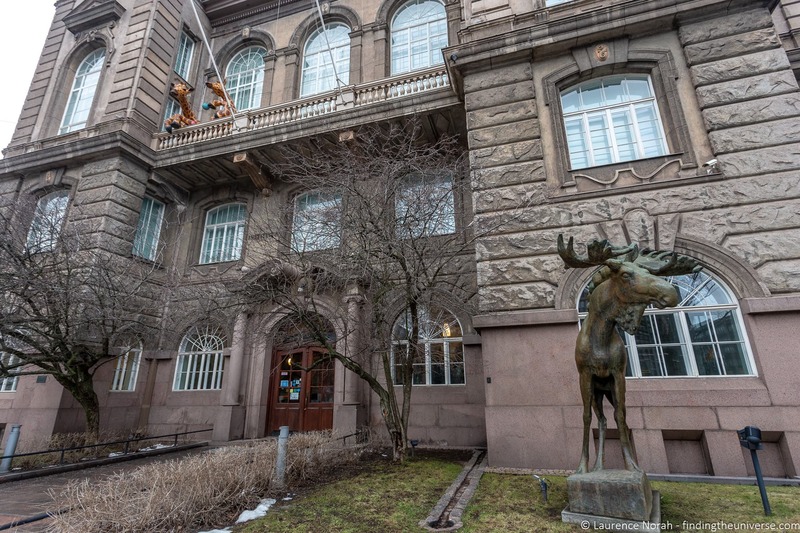 Hellsten Helsinki Senate – a well located 3* property just five minutes walk from the city centre. They offer well priced apartment style accommodation, and some rooms even have a private sauna. Radisson Blu Plaza Hotel – We enjoyed staying at this 4* hotel on a winter trip to Helsinki. It’s very central, being just a minute’s walk from the central train station. The beds are very comfortable, and rooms come with a flat-screen TV and tea/coffee maker. Hotel Katajanokka – another hotel we’ve stayed at, this 4* hotel is actually a converted prison which originally dates from 1837. Rooms include a flat-screen TV, writing desk, minibar and kettle. 15 minutes walk from the city centre. 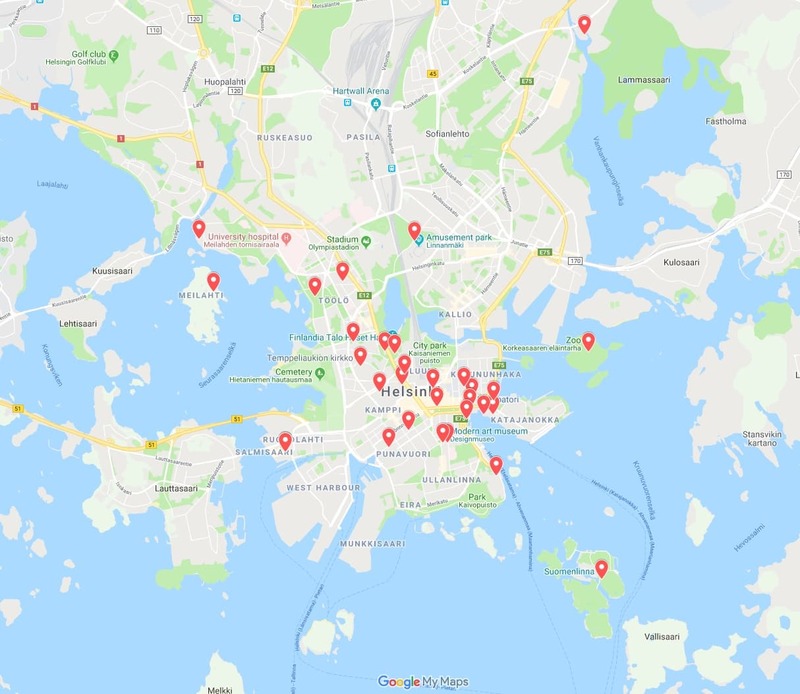 You can see a range of listings for Helsinki on Booking.com here. We’ve also used AirBnB for accommodation in Helsinki – you can see all their Helsinki listings here. Helsinki is a good city to visit year round, with something different on offer whenever you visit. We’ve visited Helsinki several times in both winter and summer, and we have enjoyed our time in the city in each season. The important thing is just to be prepared and to know what to expect. In the winter months, the city is generally cold, with temperatures at or below freezing. Ice and snow are common, and you will need to pack appropriately to the conditions. See our guide to what to pack for winter in Finland for some ideas. Some of the attractions and activities will not be open in winter, although the majority of museums will be. Winter is a popular time to visit the country in general because of all the winter activities in Finland, and we think it makes sense to spend at least a couple of days in Helsinki for sight seeing. If you visit Helsinki in summer you will be rewarded with warm, very long days. Finnish people love the outdoors, and you will find all sorts of outdoor activities available. As Finland is less well known as a summer destination, it will also not be as busy as other European destinations can get in this time. 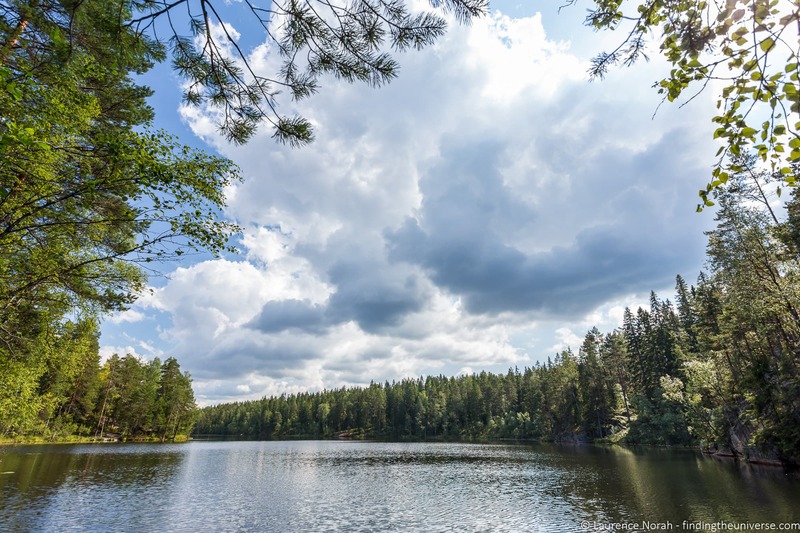 See our guide to summer activities in Finland for inspiration! Overall, we don’t think there’s a bad time to visit Helsinki – just know what to expect and you will have a great time! The centre of Helsinki is easy to walk around. It is not a huge city, and you can certainly see many of the attractions in the city on foot. However, some of the attractions like the Zoo, Technology Museum and other sights are a bit further, and so you will likely want to use public transport to reach them. Helsinki has an excellent public transport network, which includes trams, buses, and boats. In the warmer months, there are also city bikes available. For planning journeys and ticket price information, you can see the official public transport network website here. Generally, it is much more cost effective to buy a day card or to use mobile tickets from the HSL app rather than buying tickets individually, as these can be quite expensive. In our opinion though, the easiest way to pay for public transport in Helsinki as a visitor is just to get the Helsinki Card with the travel component. Then you can just scan this card as you board, and don’t have to worry about tickets at all. You can buy it from the official website here. As you will have noticed from the long list of things to do in Helsinki, many of the attractions and activities have an entry fee. 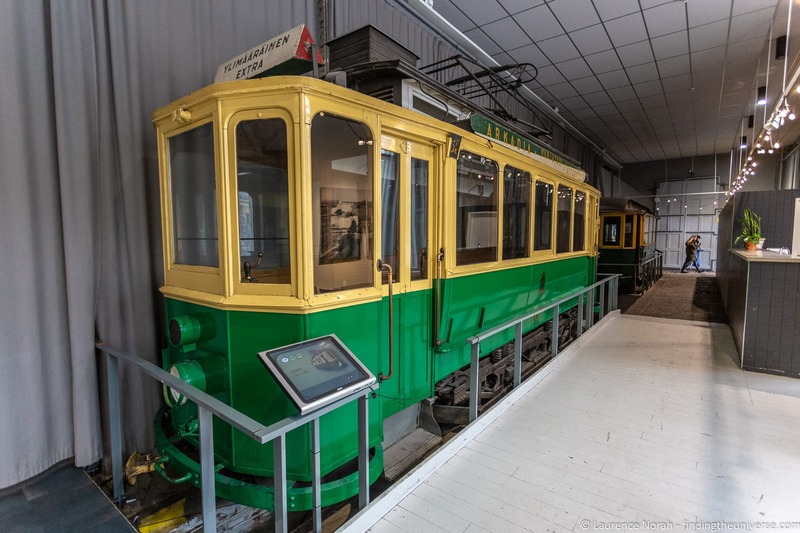 Whilst there are certainly some free things to do in Helsinki, such as the museums operated by the Helsinki City Museum, this is not generally the case. If you are planning on only visiting one or two sites, then paying for the ticket entry individually probably makes the most sense. 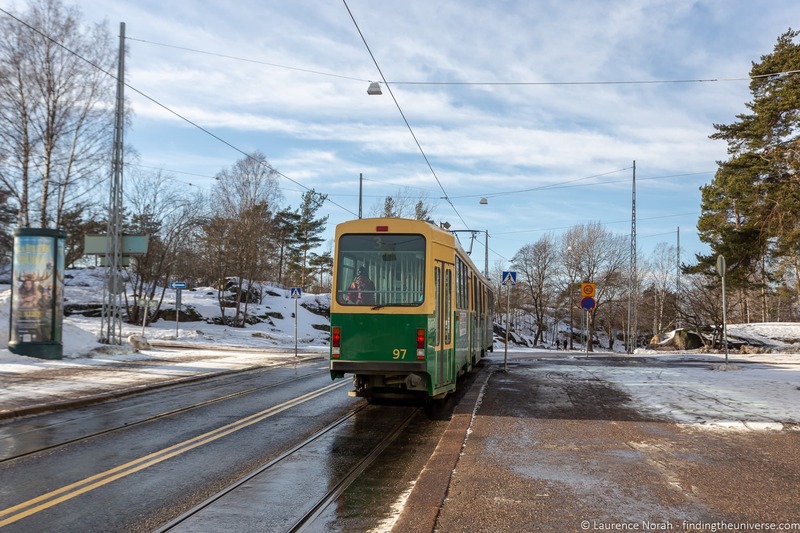 However, if you plan on visiting a few attractions in Helsinki, and are also thinking about using the public transport network, it is possible to save some considerable money using city discount passes. The two main attraction passes in Helsinki are the Helsinki Card and the Museum Card. 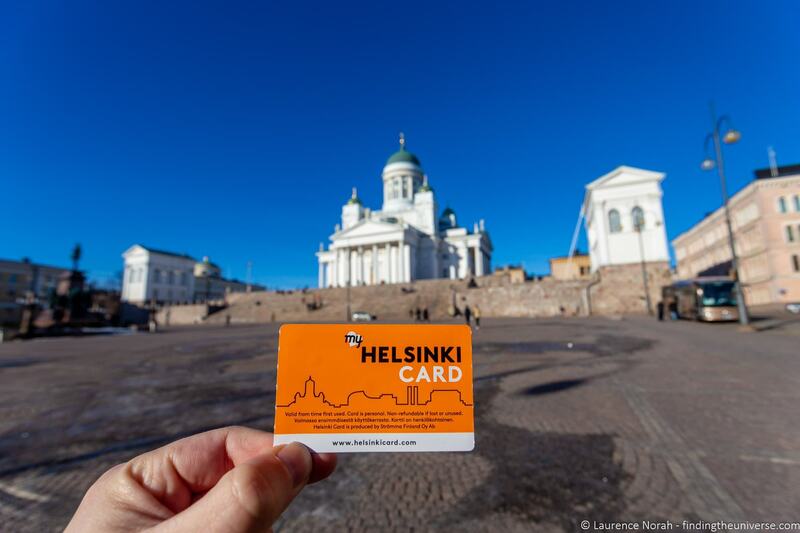 The Helsinki Card is a city pass that comes in 1, 2, and 3 day versions. It offers entry to the majority of attractions on our list, including the museums, as well as attractions like the Zoo and Aquarium. It also includes the hop on hop off bus, canal cruise, and a wide range of other sights. You can see the full list of attractions here. 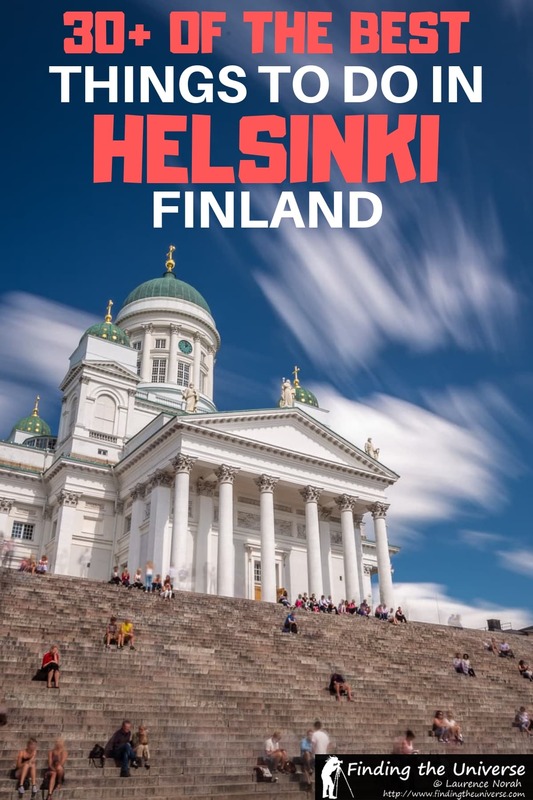 There’s also the option to include a travel card on the Helsinki Card, plus it comes with discounts on things like the airport shuttle bus and the Skywheel. The Museum Card is a little bit different. It’s valid for a whole year, and actually works across all of Finland – not just Helsinki. It covers over 280 museums across the country, and we saw many locals using it for museum entry in Helsinki – which makes a lot of sense given how it is valid for a year. The disadvantage of the museum card is that it is only for museums. So if you want to see other attractions, you would have to pay for these separately. They are however both excellent cards and offer a lot. I would say that if you are visiting Helsinki for a short time, say one to three days, then the Helsinki Card is likely going to be a better option. It includes extras like the Canal Cruise and Hop on Hop off bus, plus you can add public transport, making it really useful for your time in the city. 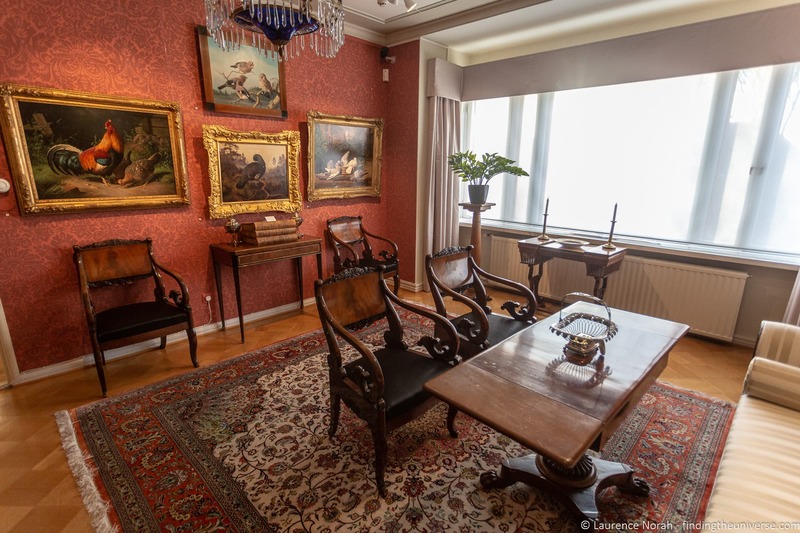 If you are going to be in Helsinki for a little longer, or think you will also be visiting museums in other parts of Finland as well, then the Museum Card might make more sense – especially if you are not planning on doing any additional attractions. You can read our full review of the Helsinki Card here, and buy it from the official website here. You can buy the museum card here. We hope this guide has given you plenty of ideas for things to do in Helsinki. As already mentioned, we’ve visited Finland a number of times in both winter and summer. From those trips we’ve put together some more content to help you plan your trip. Our detailed review of the Helsinki Card, to help you decide if this is going to be worth buying for your trip. We’ve also visited a number of other cities in Finland. Check out our guide to visiting Rauma in winter, and our guide to visiting Oulu in winter for inspiration for your Finland trip. And that’s it for our guide to what to do in Helsinki Finland! As always, if you have any questions or feedback on this post, or travel in Finland in general, just let us know in the comments below!